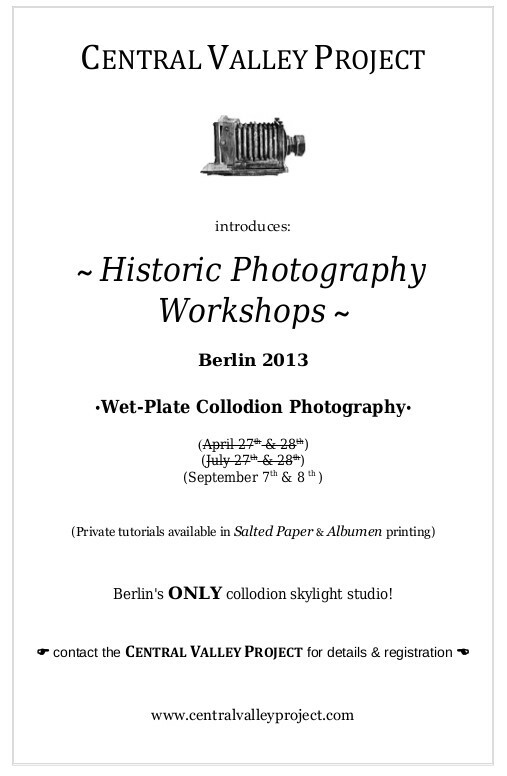 The last group collodion workshop of the season is being held in Berlin's only daylight studio, September 7 & 8, 2013. Conducted by a practitioner (David Puntel) of the process for over 14 years, participants will learn all aspects of creating ambrotypes (collodion images on glass), as well as troubleshooting. Most leave the workshop with over 10 self-made ambrotypes. Contact the Central Valley Project for registration and information.